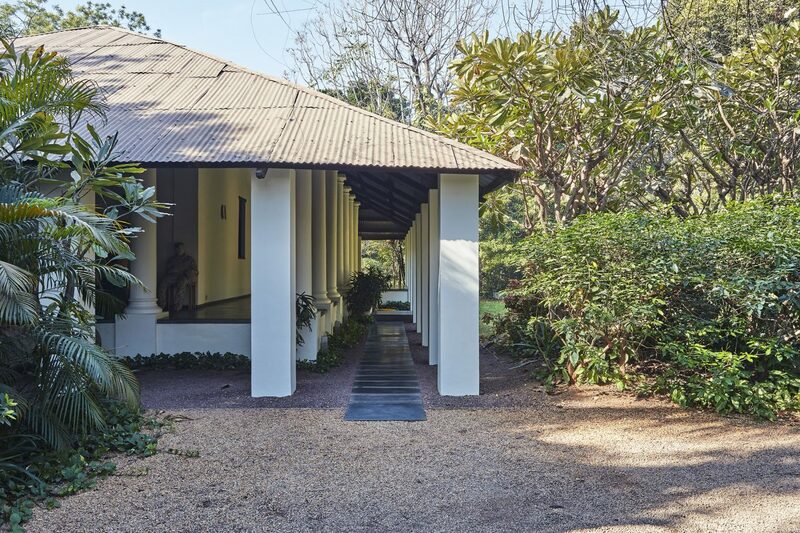 Built in the 1840s, this house in the Ahmedabad Cantonment represents an early example of bungalow architecture in India comprising of load bearing brick and lime plastered walls with wooden rafters and a tin roof. 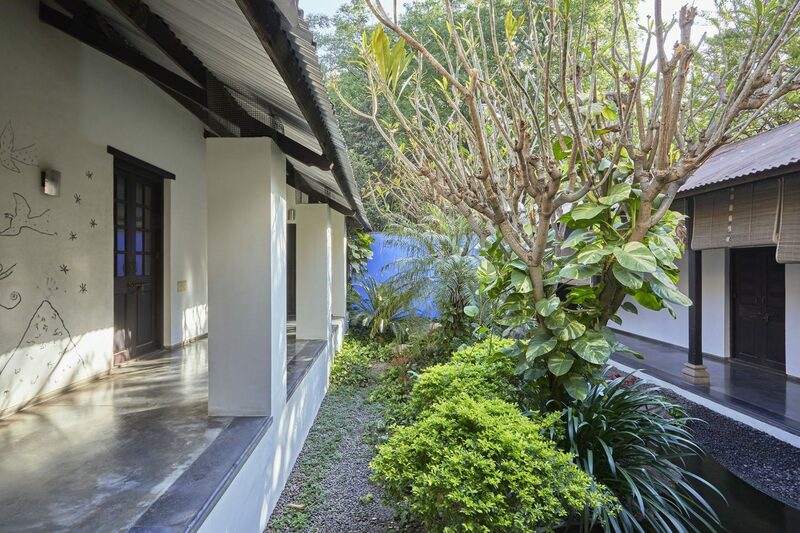 The bungalow is set in a one acre compound with a thick cover of trees. 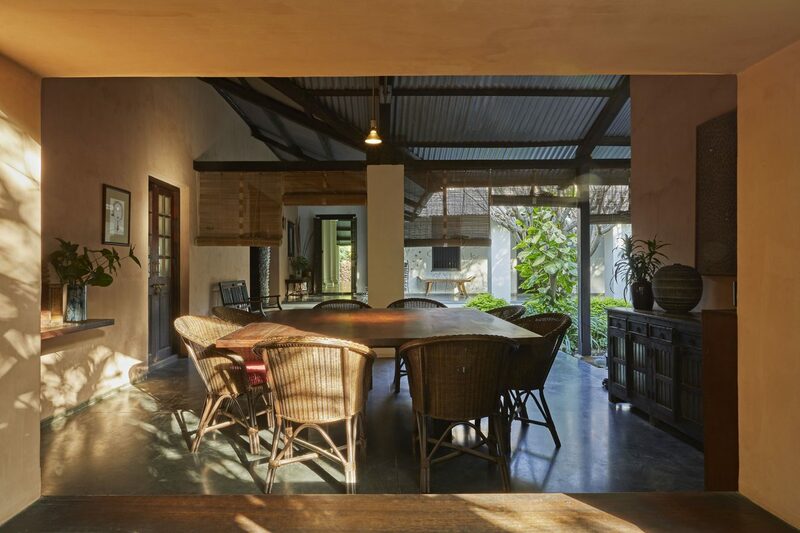 While this project was essentially dealt with as a conservation project, subtle modifications were made to adapt the spaces for contemporary use. 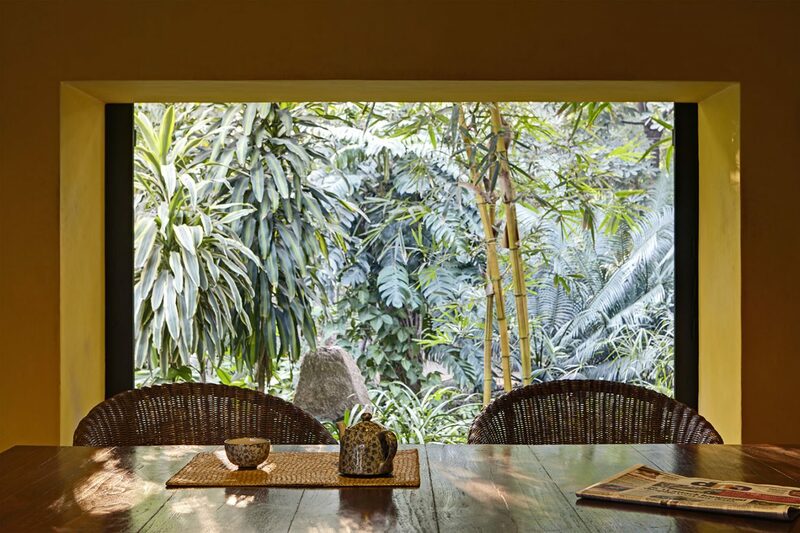 This involved widening a verandah to create a dining space, introducing new plumbing and electrical wiring as well as the introduction of water bodies adjacent to the verandahs to cool the house. 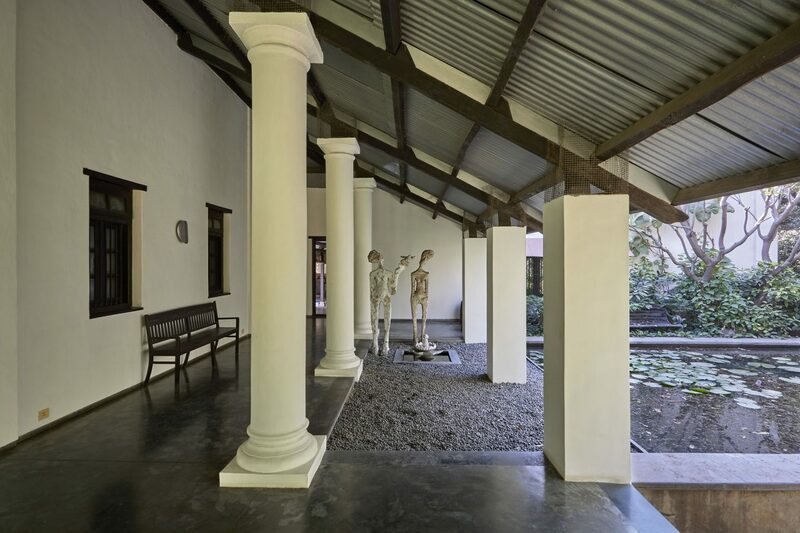 Inspite of these contemporary interventions, the replastering and strengthening of the structure was carried out using traditional materials such as lime plaster, black cement for the floor, and recycled wood. 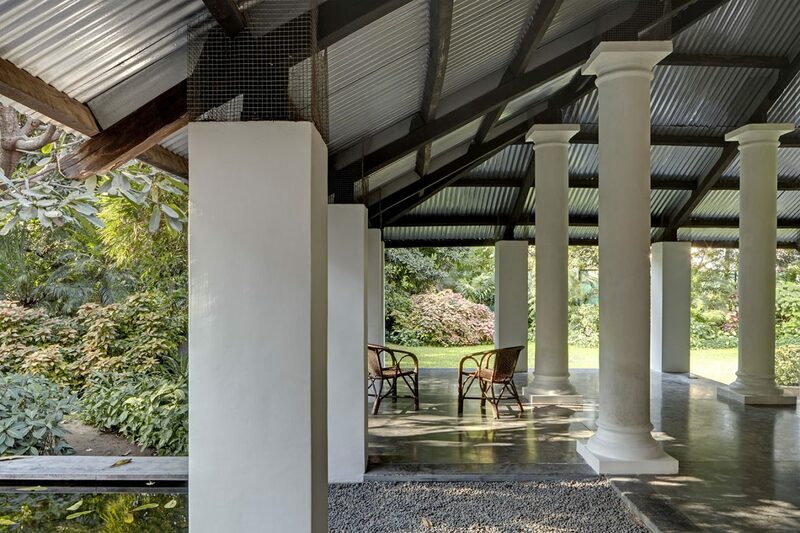 The attempt in this project was to introduce contemporary sensibilities in the space and the details of the house, while not compromising the authenticity and integrity of the historic structure – a classic challenge for conservation work anywhere in the world.